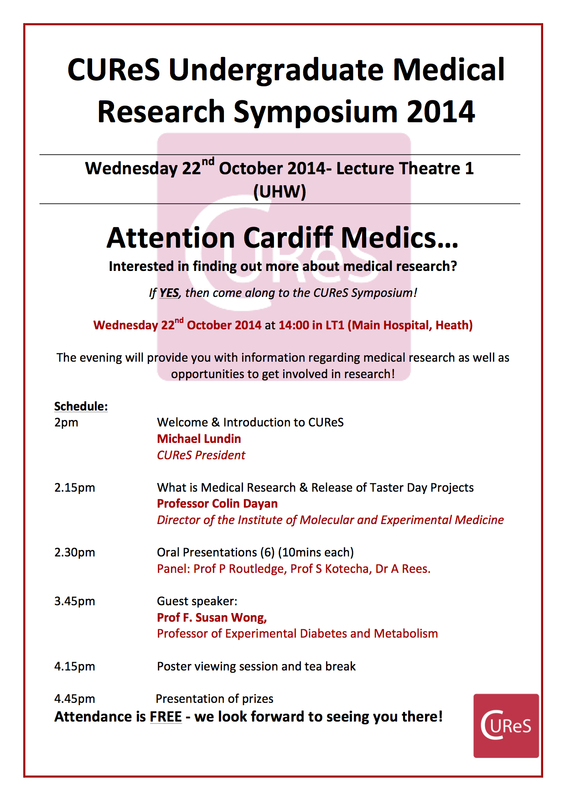 The annual Cardiff University Research Society (CUReS) Undergraduate Medical Research Symposium is back! Want to know more about research or even get involved in research? Then join us at 2pm, this Wednesday (Wednesday, 22nd of October) at LT1, UHW. Get the best advice from academics that are at forefronts in their respective fields. This is your opportunity to network! The Taster Day projects will also be released during the symposium. So if you’re looking to get involved in research, this is your chance!